Here’s where you’ll find our tips for the perfect stay. Places to eat, wines to drink. Walks you can go on and places we love to explore. Our gardener’s (Cosimo’s) mamma is called Serena and she’s a great cook. So good that she came and cooked us a 5-course authentic Tuscan home style meal. We had crostini, tempura of courgette flowers stuffed with ricotta, pasta with a tomato sauce, roast pork and potatoes and her own delicious homemade tiramisu. She brings all the ingredients and cooks everything in the kitchen while you relax and drink Aperol spritz watching the sunset. Then she serves you dinner on the terrace, with a few bottles of chianti that you’ve picked up in advance. Best of all she does all the washing up. If you fancy this then talk to me or Jacky to arrange it all for you. 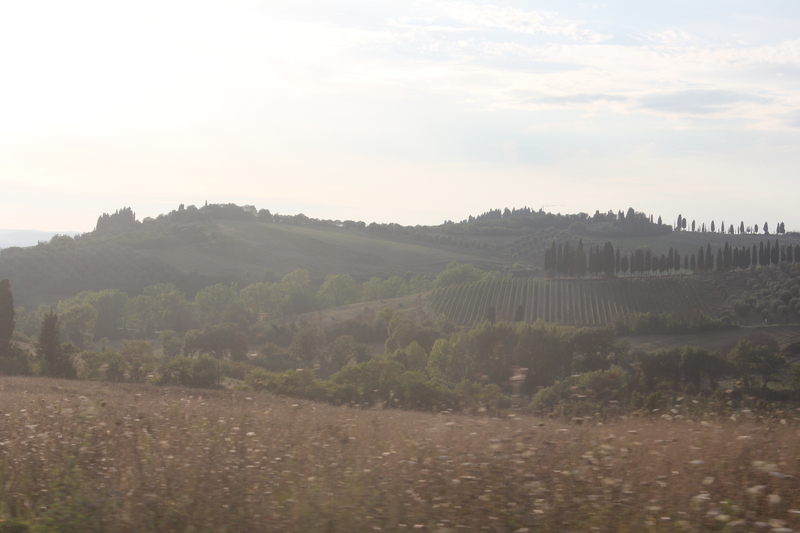 Being surrounded by vineyards there is an endless choice of different chianti classico to try. The local ones that we think are worth having a few bottles of are: Lilliano – their Chianti Classico is always good and great value. 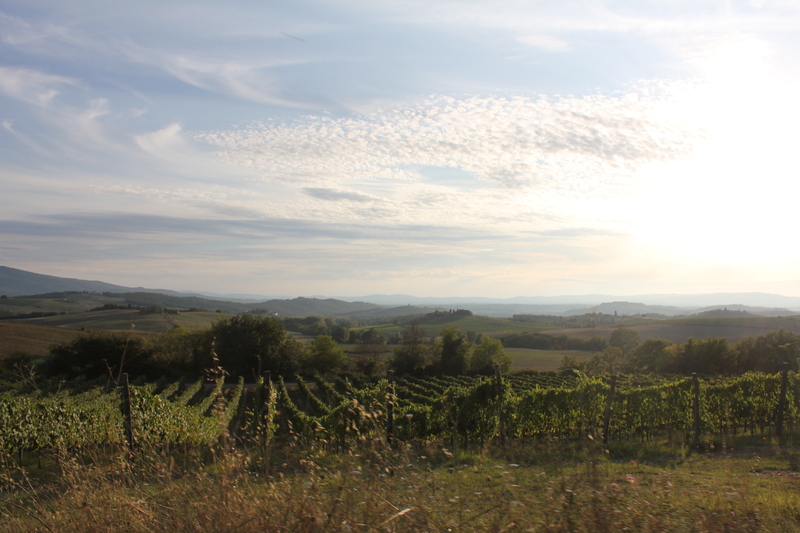 Bibbiano – located a couple of kilometres beyond Lilliano, their wine is harder to find if you don’t go direct. 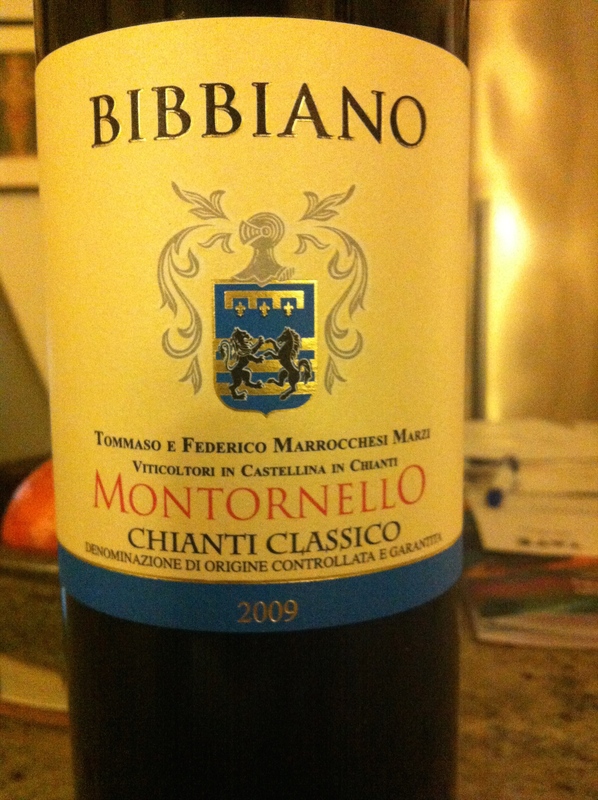 Although they also do a Chianti Classico worth trying, we’re often tempted by their Montornello. This is a single estate, 100% Sangiovese wine that’s been kept in french oak barrels for over a year giving it a distinctive flavour. Fonterutoli is a much better known estate with a classic 90% Sangiovese Chianti. It’s the most expensive of the 3 but always exceptional. It’s often the case in Tuscany that the restaurants with all the reviews and articles in Sunday papers are full of tourists. Here are some places we’ve discovered through recommendations where you’re more likely to be sitting next to locals. The walk we probably do most often takes you in a loop past the Campalli estate on the hill nearby. It takes about between 1.5 – 2hrs depending on the heat. We like to get up early in the summer and do this before breakfast and before the sun makes it much harder. Come out of the main gates at Le Bagnaie and walk down the track to the junction. 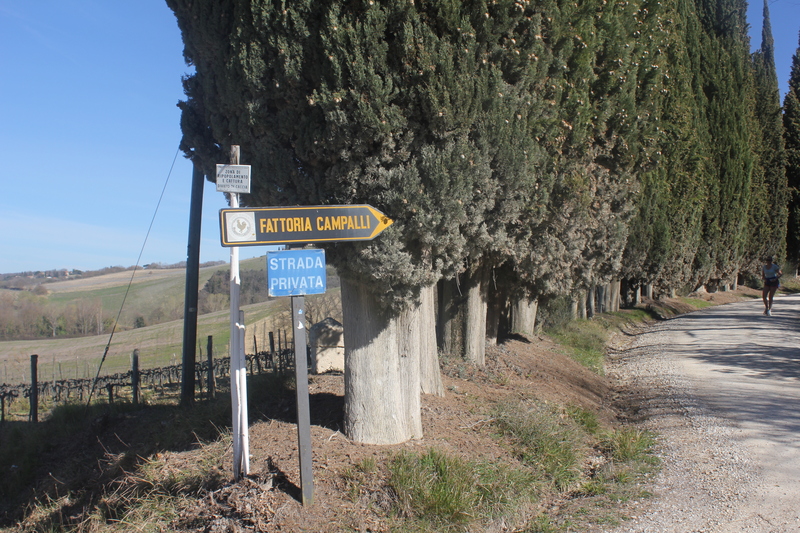 Turn left and continue walking until you see the sign indicating the turning for Fattoria Campalli on your left. Take this road up to the main house. It’s a beautiful avenue of cypress trees. Take the path to the left of the property which runs along the wall. At the end turn right in front of a chapel. Continue walking with the wall on your left. The path turns left, taking you down past a cluster of cypress trees and up past some farm buildings on your left and right. Carry on up this path. You’ll pass a turning to Cogno on your right. Keep left, going all the way to the top until you hit a 3-way junction. Admire the views. Siena can be seen. Take the left turning, signposted to Caggiolo. At the next junction, follow the road on the right to Caggiolo. 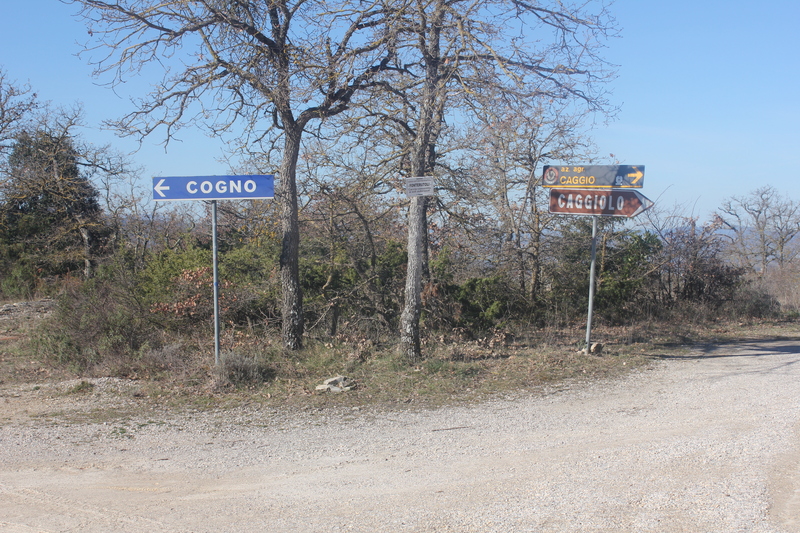 Once you reach Caggiolo, on your left, continuing walking down the road all the way back to the gates of Le Bagnaie. 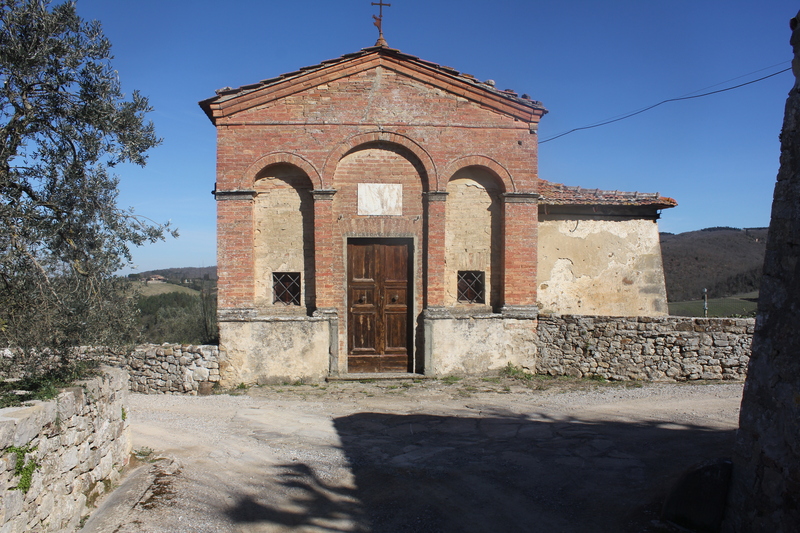 A longer walk would be to add a visit to Fonterutolli when you reach the 3-way junction at the top of the hill. If you turn right instead of left towards Caggiolo, you’ll soon reach the small hamlet and estate of Fonterutolli. If they are open its well worth trying their wine; it is excellent. A shorter loop is to walk past Caggio. You can do this either way. Walk out of Le Bagnaie’s gates and turn right, walking up the hill. Walk past Caggiolo on your right. You’ll reach a 3-way junction; take the right turn signposted to Caggio. 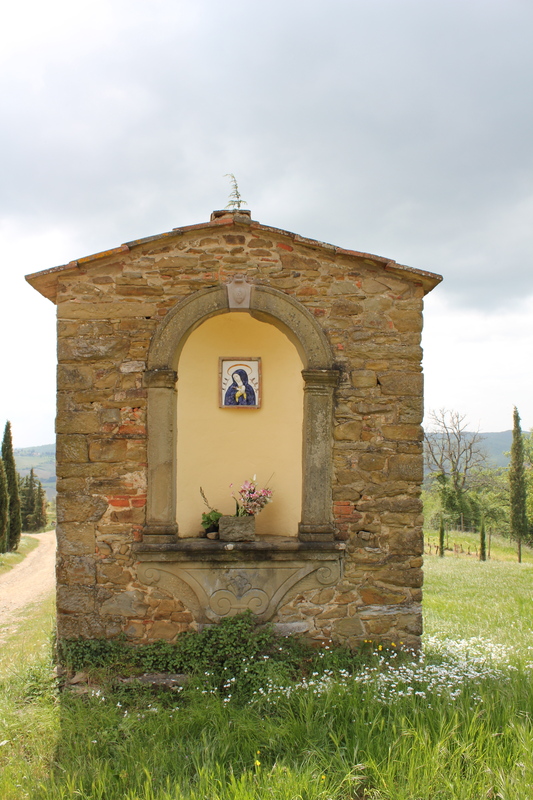 Walk downwards, past the dog kennels and through the hamlet of Caggio. Keep walking down the hill all the way to the junction. Turn right and you’ll come to the bottom of the hill where Le Bagniae sits. Walk up the hill to our gates. This makes a great jogging route if you fancy it! Jacky knows a man called Filippo. Filippo and his dogs know where the truffles are. If you like to eat truffles and would be interested in learning about how the truffle hunters work then Jacky can arrange for a group of you to go truffle hunting. Filippo and his dogs, along with someone to translate will pick you up from Bagnaie and drive you to their secret location. Here he will show you how he works and guarantees that you will each go home with your own 30/40 gram truffle. It lasts about 1- 1/2 hours. The cost is €55 each for groups of 4 or less or €45 each for 5 to 10 people. Talk to Jacky who can arrange it all. 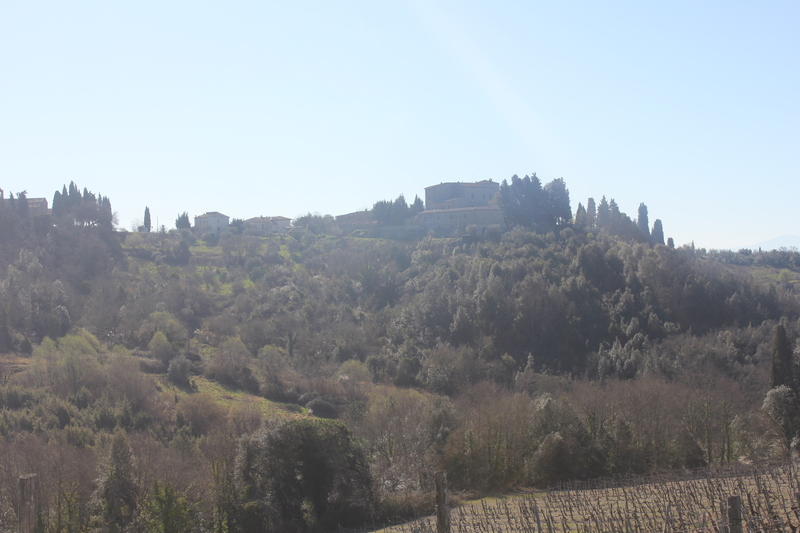 Our local town is Castellina. We like to go a lot. It’s small but has everything you might want – with added charm. 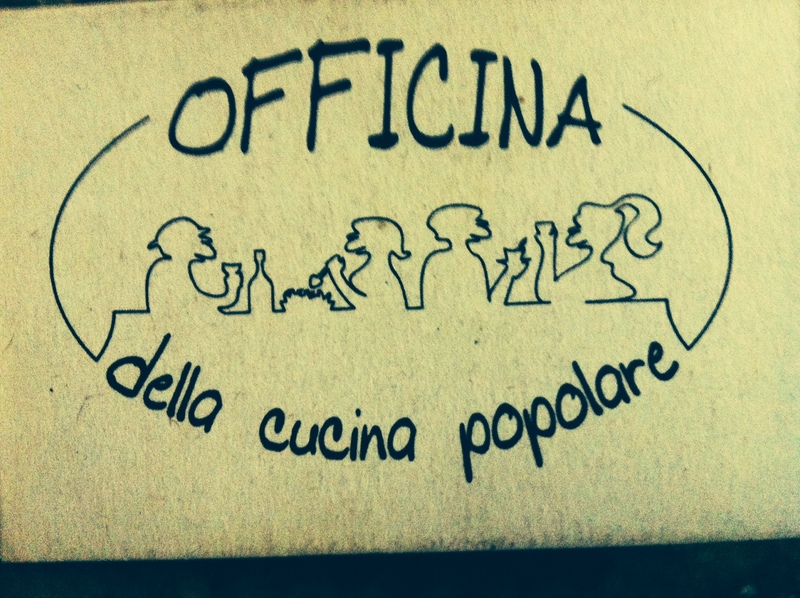 Macelleria Stiacchini – this local butcher will prepare anything you need. His home made sausages are fantastic, but not to be missed is his rolled porchetta covered with his own salt and herb mix http://www.macelleriastiaccini.com. Market day – every Saturday morning the market comes to town. There are fruit and vegetable stalls heaving with Italian produce, a fish van from the Tuscan coast, and a cheese and cured meats stall. Not to mention a wicked italian spit-roast chicken or pork vendor if you’re feeling peckish. 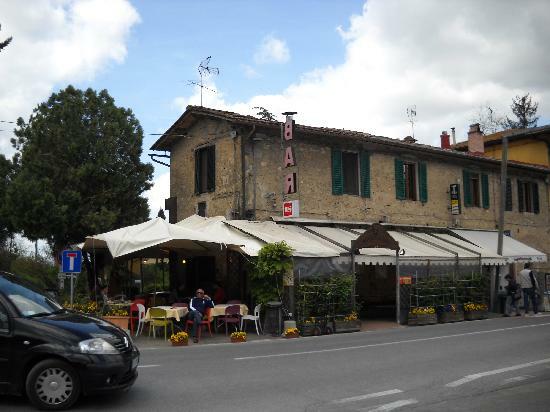 Antica Gelateria – we think this is the best ice cream in Chianti. It’s all homemade of course, and they do all the traditional flavours you’d expect plus lots of unusual seasonal ones, such as blood orange, fig and ricotta, and rose petal. They also make what can only be described as a homemade ‘ Walls’ Feasts’! Coffee – forget flat whites, aeropress, drip method. In Italy they all make their coffee the same way: short and strong. An espresso, or with milk in the morning, will always be expertly made using a machine capable of producing the pressure needed to extract flavour without bitterness. 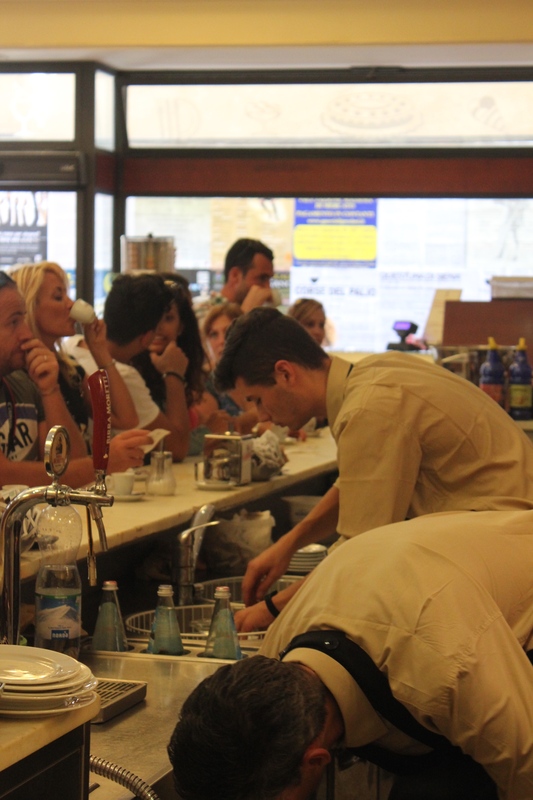 Our favourite place to drink coffee in Castellina is the Bar Italia next to the small Coop on Via Trento e Trieste. The large terrace gets sun all day long and the cappuccino is reliably good. 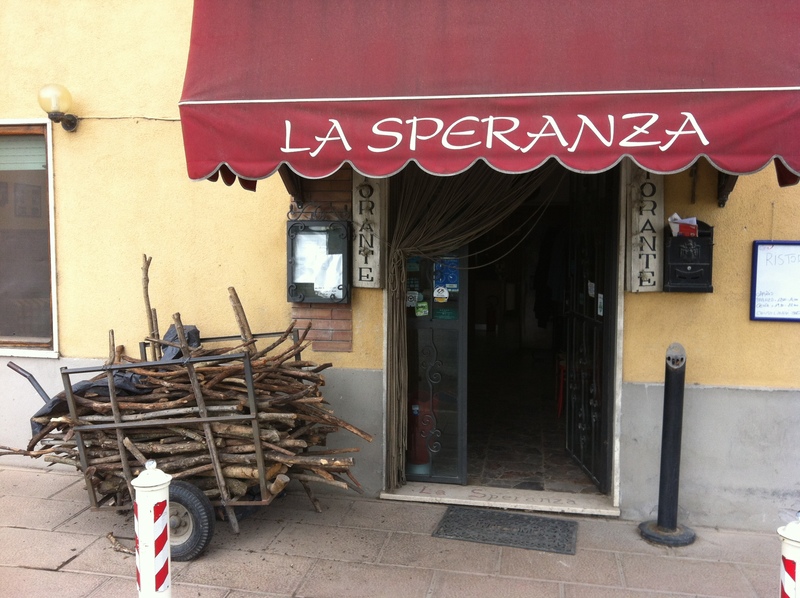 Il Fondaccio – although often full of other tourists, this pizzeria offers a long menu of wood fired pizzas. They also have a great spot on the main pedestrianised street and lots of outside seating for the summer months. It’s easy to forget how close the barn is to Florence when sitting on our hilltop. However in about an hour you can be parked in the centre of this amazing city. If you like shopping this is a great place to come. 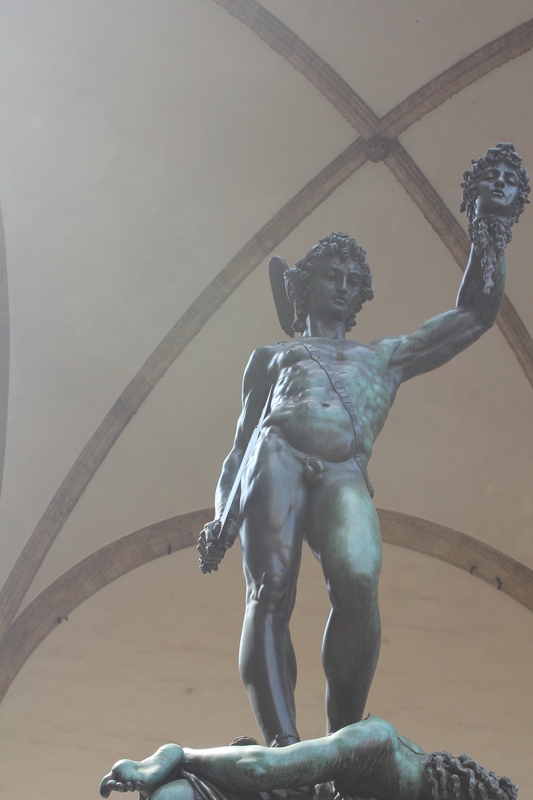 If you are an art junkie, you can book fast track tickets to the Uffizi online. Hot chocolate at Caffe Rivoire at Piazza della Signoria on a cold winter’s day is a tradition worth keeping. 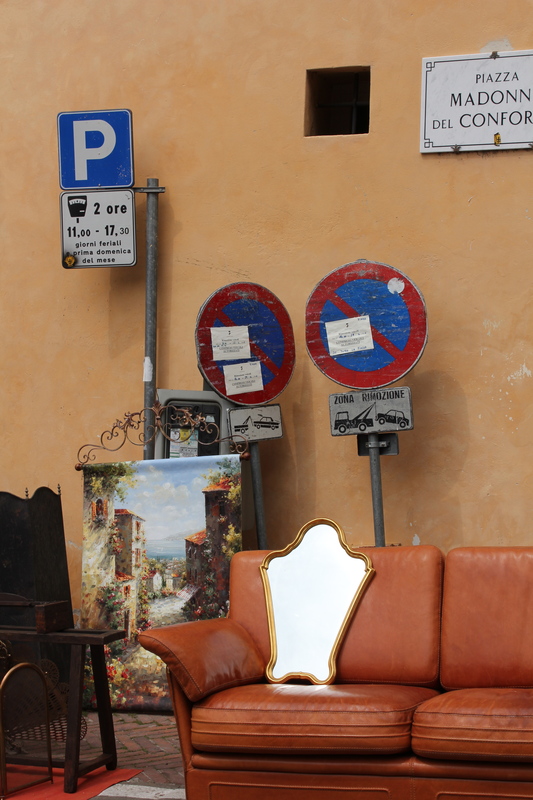 Walk across the Ponte Vecchio into the Oltrarno neighbourhood, packed with antiques. Stop at Santa Felicita to see Pontormo’s Deposition. Walk on to the Boboli gardens. Afterwards loop round to Piazza Santo Spirito where there are bars and cafes to sit and enjoy the square. 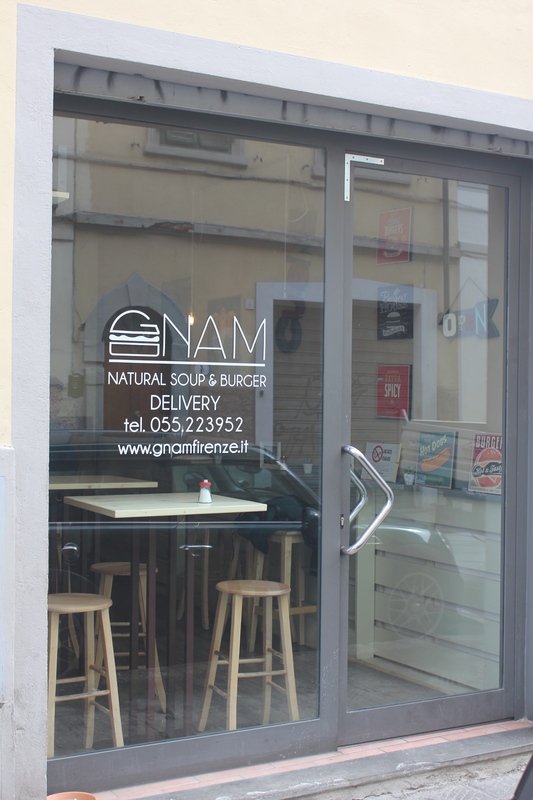 A walk to Piazzale Michelangelo for the views over the city takes you past Zeb – www.zebgastronomia.com where you can eat no fuss standards (one of the FT’s Nic Lander’s best new restaurants for 2011). 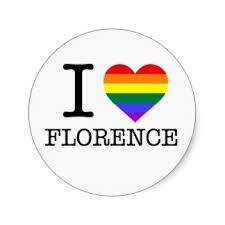 You can also choose to park in the Piazzale for free and walk into the city centre. Piazza dei Ciompi on the other side of the river is another favourite square, where you can browse the old antique stalls. Not far is Vivoli, probably the best gelato in florence. This is a non-exhaustive list of wines we’ve come to enjoy. They are all relatively local. Most of them can be visited directly and will give you free tastings if you ask. And you can of course buy as much or as little as you want. 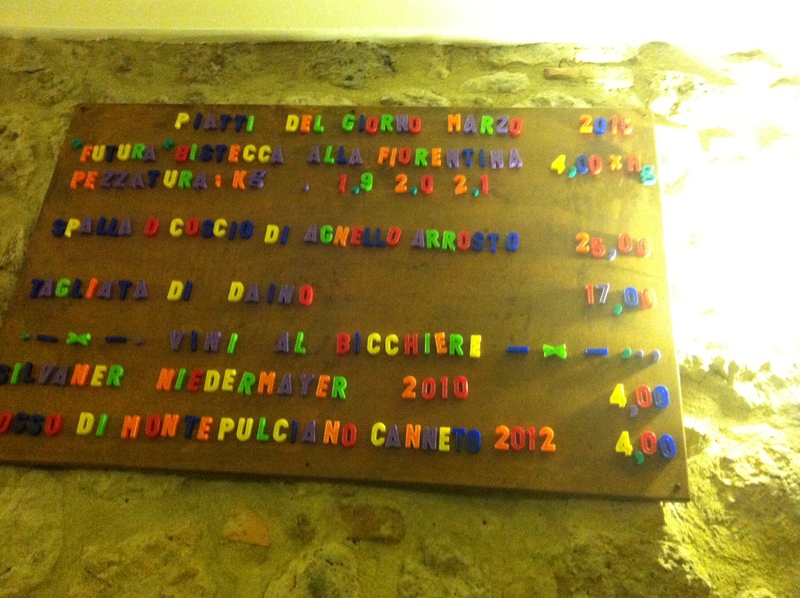 The Enoteca in Castellina is also very good and stocks many of them. Castello di Ama – http://www.castellodiama.com/en/. Monsanto – http://www.castellodimonsanto.it. Terrabianca – http://www.terrabianca.com. Querciabella – http://www.querciabella.com . Aiola – http://www.aiola.net/en/. Dievole – http://www.dievole.it. Isole e Olena. Open any Tuscan guide book and you will find more culture icons to visit and architecture to admire than could be expected from any one holiday. One city we like to visit is Arezzo. It combines a number of essentials for a great day trip, which ensures we keep going back. 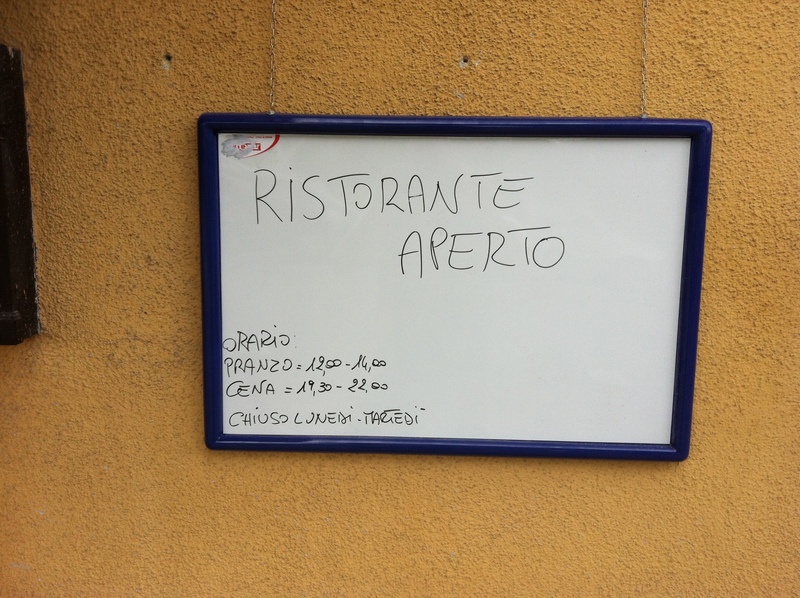 Piadineria La Tua Piadina – great for a snack after the drive, with local fillings of cheeses and hams with rocket. Piero della Francesca – in the church of the same name, here you’ll find his most famous frescos. 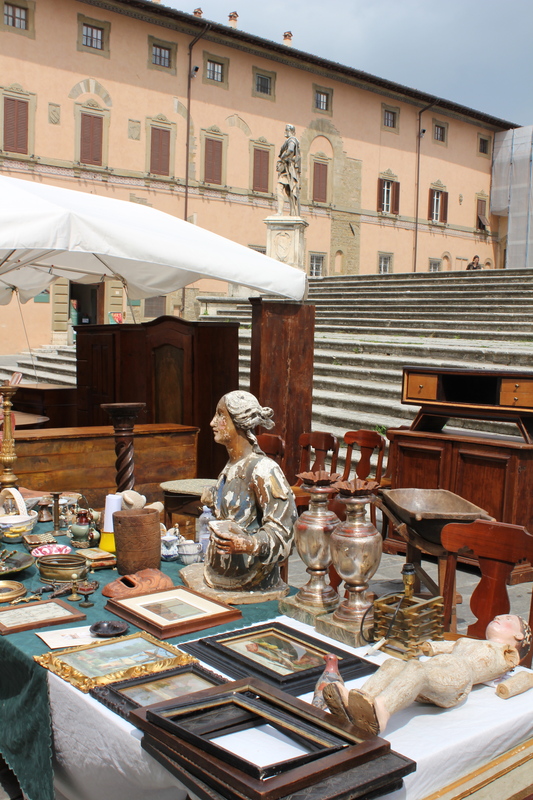 Antiques market – held on a Sunday once a month the Arezzo antiques market spills out into all the streets and squares and is a fantastic way to see the city even if you’re not buying. 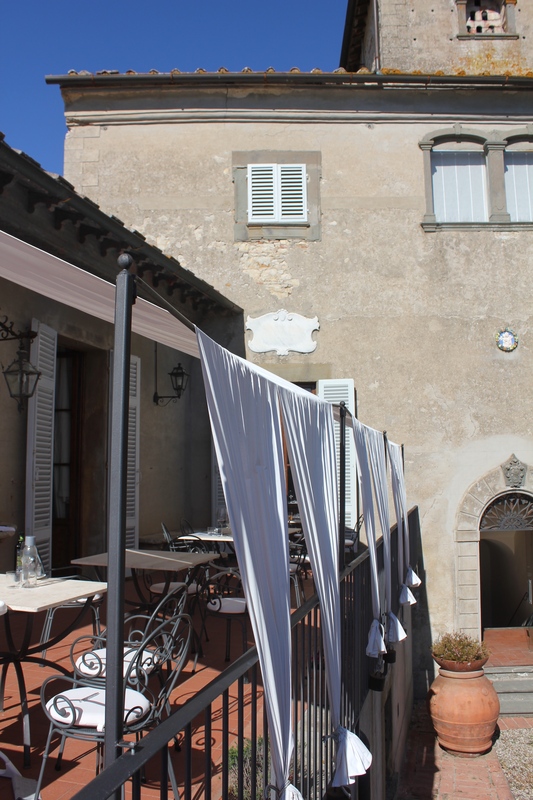 Round off your day out with a meal at Le Chiavi D’oro – http://www.ristorantelechiavidoro.it – where you can sit inside the modernist interior or outside in the piazza. If you take the motorway via Siena you can be in Arezzo in about 90 minutes. Don’t forget to also buy some olive oil while buying your wine. Most vineyards produce their own amazing extra virgin olive oil, from a first cold press. They are all slightly different in taste and colour and they will let you try them as well. Nannini is a Siena institution. 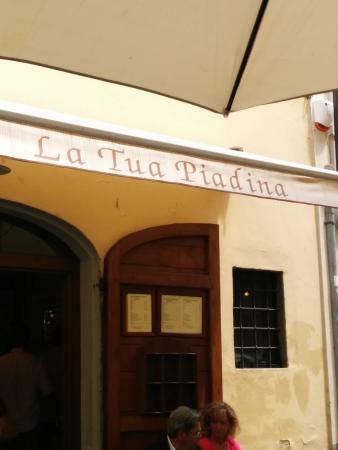 It’s where the locals go for coffee or an aperitivo. 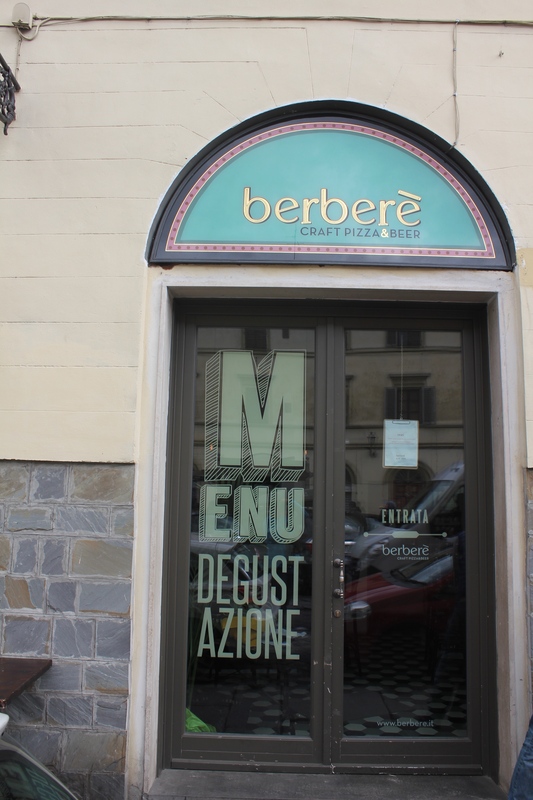 But it’s also a good place to pick up Sienese produce such as panforte – sold by weight in traditional (‘margarita’) or chocolate. Cantucci and ricciarelli are also good from here. If it’s hot and you want to swim in the salt waters of the Med, then we love going to the Maremma. There are two places we head to. 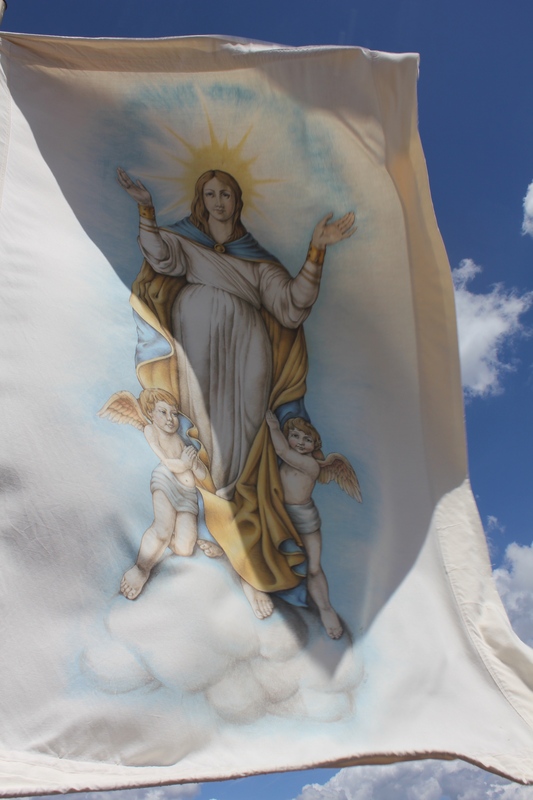 For unspoilt beach action we go to Marina di Alberese. Here you can park the car and walk to the beach. If you carry on walking for a while you’ll probably find your own patch of beach, unspoilt except for driftwood piles that the Italians use to create shade. There are no facilities here. Cozzies optional. If we fancy a deckchair, drinks and lunch then slightly further south you’ll find Ultima Spiaggia – http://www.ultimaspiaggia.com/index.asp. This is a classic Italian beach club where you pay for a deckchair and service (around 40 euros per person). However the food is well above the normal and worth the detour for. They do an amazing buffet spread of salads and fresh fish which can be eaten while looking out across the sea. If you head south via Grosseto you can be in the Maremma in just over an hour and a half. wondering around Siena is like being inside a vast museum, so it’s hard to pick out any one thing in particular to see. However the Ospedale di Santa Maria della Scala has to be a must see. It’s frescoes from 1443 adorn the walls of what used to be the emergency care unit and depict the history of the hospital.